Health is low on the list of teenage priorities – below friends and fashion, according to research by the British Chiropractic Association. Perhaps today’s teens are so engrossed in their social lives and with their appearance that the most important thing, their health, has slipped off the agenda. What does healthy eating really mean? There is no single “healthy diet”. As long as you eat a variety of foods, from the main food groups (fruits, vegetables, grains [rice, pasta, oats etc] lean meats, dairy, fats) you should get all the vitamins, minerals and other nutrition you need. Does healthy eating mean that certain foods are off-limits? No. A healthy diet doesn’t mean depriving yourself of higher-calorie foods, like rich ice cream, toffee popcorn, cheeseburgers and stuff. You can enjoy these and other similar foods, but in moderation or as occasional treats. Here are a couple of small suggestions to improve your daily diet and help maintain a healthy weight. Snack on fruits to satisfy your sweet tooth. Take a snack of fresh chopped fruit with you to school. Add some walnuts or Brazil nuts for extra crunch. Apply the dinner plate test to your meals. 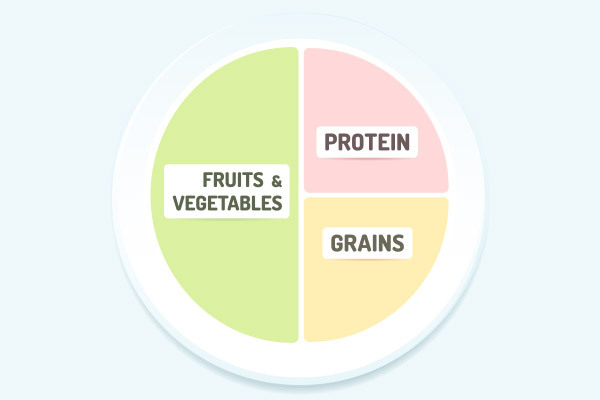 A good way to eat a healthy meal is to make sure that half the plate contains vegetables, with the remaining half divided equally between protein (meat, eggs, beans) and carbohydrates (rice, pasta, potatoes, noodles). If eating pizza, go easy on the cheese and pepperoni and load up on vegetables and fruit. Start with the first meal of the day. Plan to eat a serving or two of fruit with breakfast every day. Mix it up so you don’t get bored. Half a grapefruit, an apple or a handful of berries on your cereal are all good choices. Fruit juice counts too — but only if you drink one small glass of 100% juice. Continue this pattern by eating vegetables at lunch and at dinner. Get extra energy from fruit or vegetable snacks. The carbohydrates in fruit and vegetables are great sources of energy. Combine them with a serving of protein — such as a piece of cheese, a yogurt, or a tablespoon of peanut butter. Double up on fruit and vegetable servings. Recommended servings of fruit and veg can be small. Unlike other foods, it’s OK to double the serving size of fruit or vegetables. Use fruit and vegetables as ingredients. Enjoy bread? Bake up a batch of courgette or olive bread and get your veg along with your grains! Chop up vegetables (peppers, carrots, celery) and add them to a chille con carne. If you don’t like vegetables much, sneak them into foods you do enjoy (like grating carrots into tomato ketchup!). Try a new fruit, vegetable, or recipe each week. Our bodies like variety. So set a goal to try something different each week. You may find a new favourite. One good way to get variety is to eat the fruit and vegetables that are in season in your area. They usually taste better than the bland fruit salad or shrivelled apples you’re used to seeing in the canteen! Childhood obesity seems to be hot topic at the moment with statistics showing that obesity in children between the ages of 6 to 11 has more than doubled in the past 25 years, from 6.5 percent in 1980, to 17 percent in 2006. The obesity rate among adolescents ages 12 to 19 has more than tripled, increasing from 5 percent to 17.6 percent. Exercise as a family. Kids need motivation to exercise start an activity the family can do together such as riding a bike, tennis, kicking a ball around or just taking the dog for a brisk walk or run. Shop and cook healthily. Avoid buying junk food and high sugar content drinks instead incorporate more fruits and vegetables into the family diet, along with whole grains and lean sources of protein, such as chicken and fish. Reduce TV time. The average child watches television six hours a day. That’s six hours doing nothing except staring at the screen. Television and video games should be a reward for eating well and exercising. Check Blood pressure. 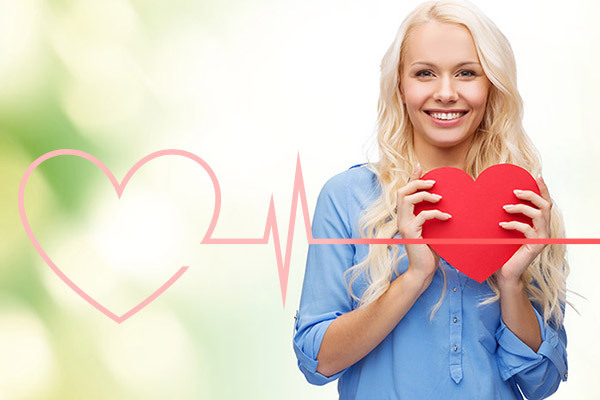 Get the whole family’s blood pressure, cholesterol and blood sugar levels tested periodically. Often these problems go undiagnosed for long periods of time, it’s better to catch them early on as it is easier to deal with. Get organised. 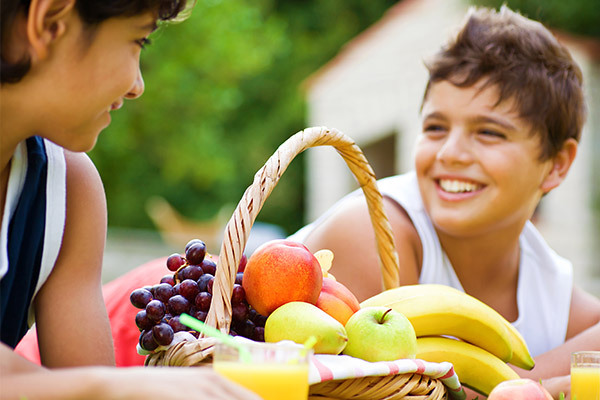 If your child is already overweight or obese, consider getting them into a formal weight-management programme. Nutritional counselling and supervised exercise sessions can give a child the support and motivation they need to lose weight. Finding it hard to fit in fitness? Just getting through a day of school and after-school commitments can leave most of us wondering where to find time. All the running around does counts as exercise, but if it’s the only exercise we get, it’s usually not enough. Try to make sure aerobic activity adds up to more than 60 minutes a day. 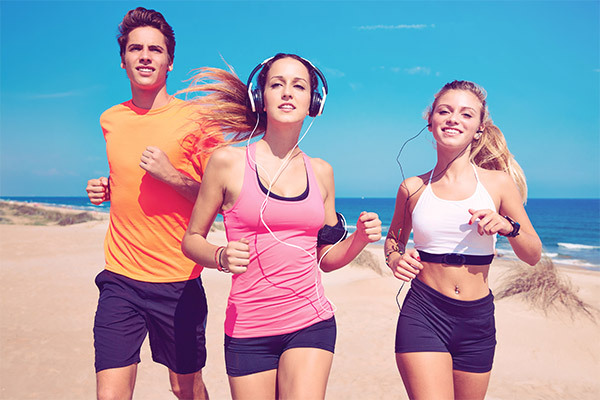 Aerobic activity is anything that gets your heart going — like biking, dancing or running. Take a few minutes for some strength training to boost the metabolism and keep joints working well. Flexibility is the third component of well-rounded exercise. Check out yoga as one way to stay flexible. STRAIGHTEN UP UK IS A SIMPLE THREE MINUTE EXERCISE PROGRAMME DESIGNED TO IMPROVE POSTURE.